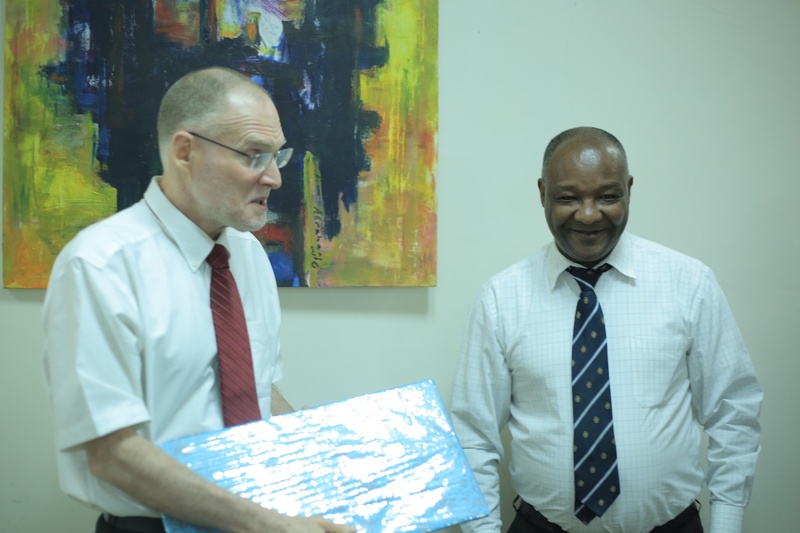 The 2019 Frumentius Lectures Series on the theme of ‘Spiritual Gifts and Countering Their Abuses’ was conducted from March 26-29, 2019 at EGST. 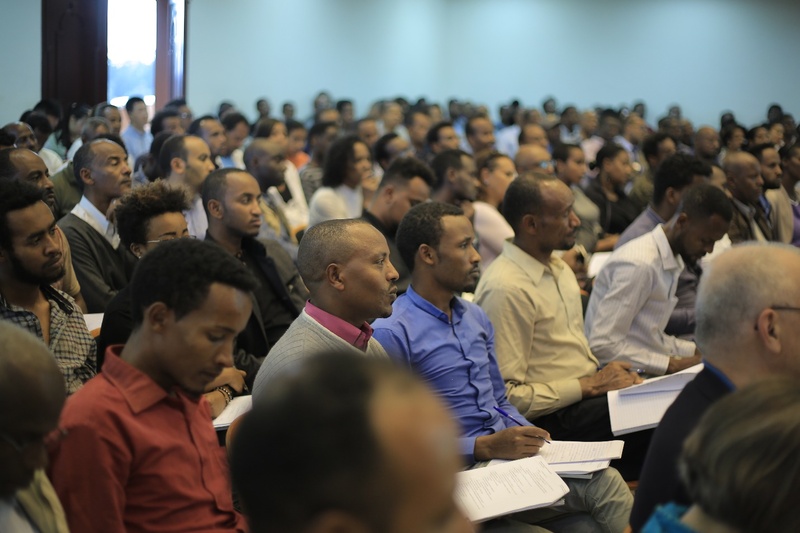 Hosted by the Ethiopian Graduate School of Theology (EGST), this year’s theme attracted the public attention and overcrowded the auditorium. EGST Director, Rev.Dr Misgana Mathewos, welcomed Professor Craig and the audience and extended gratitude for accepting the invitation. 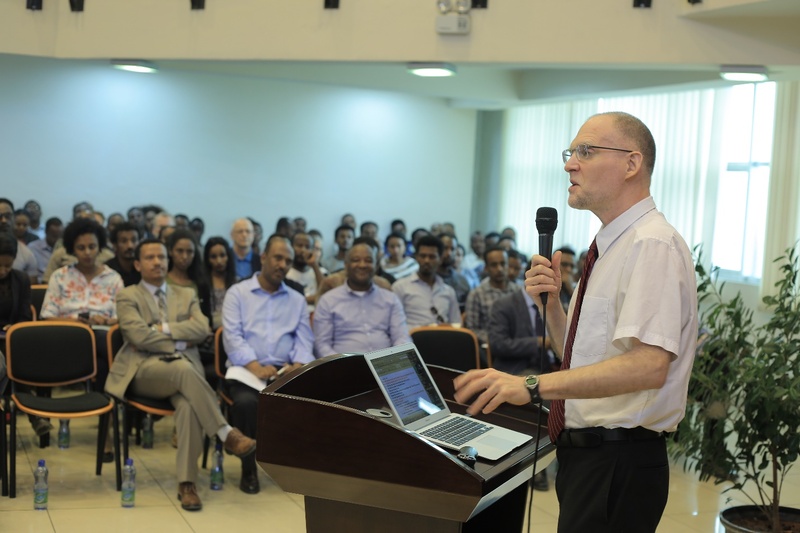 The 18th Annual Frumentius Lectures 2019 which featured Professor Craig S. Keener who holds a PhD from Duke University in the USA in 1991 is a timely response to the challenges churches in Ethiopia are facing in exercising spiritual gifts . Craig, a Professor of Biblical Studies at Asbury Theological Seminary since 2011 was previously a professor of New Testament at Palmer Theological Seminary of Eastern University where he taught for 15 years and prior to that he was also a Professor at Hood Theological Seminary. His Professional expertise includes, New Testament Background, Acts, The Historical Jesus, Miracles, The Gospels, and Ethnic/Racial Reconciliation. He has authored 26 academic books, 2 more forthcoming. In addition, Craig has published more than a hundred articles in academic journals. Craig is married to Madine, who holds a PhD from the University of Paris and she currently teaches French at Asbury Theological Seminary. On the first Lecture entitled, “Word Gifts and Christ’s Body”, Professor Craig pinpointed how Paul framed the common format of addressing household relationships in antiquity with Jesus’ teaching of “The greatest is the least”. In his lecture, Craig warned that whenever we do something that disrupts the unity of the body, we are working against something that Jesus gave His own very life. And since the purpose of the gifts is not to exalt the one with the gifts but rather given to serve the whole body, we should be cautious not to divide the body. He further noted that as believers today we may be different denominationally, ethnically and so forth. And that the differences are not all bad. But if we divide one another over such differences, then we undercut the unity for which Christ Himself died and we wound Christ’s one body. 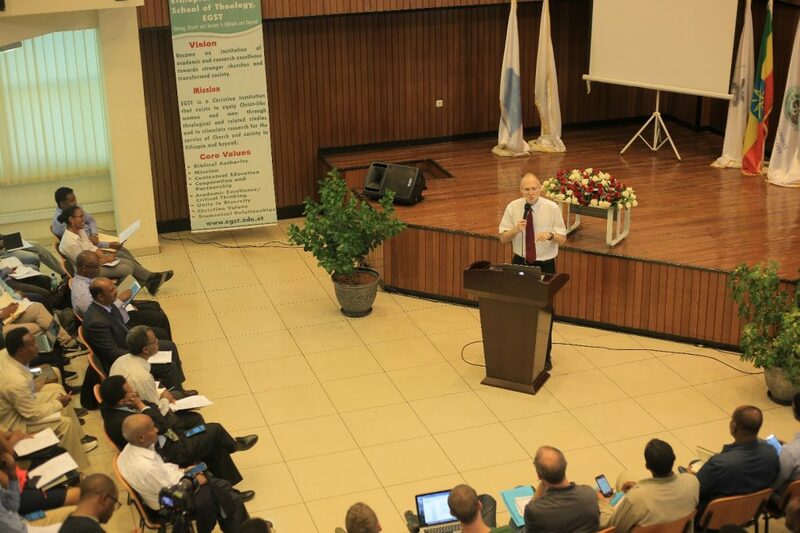 One of the highlights of the lecture was on the continuance of prophecy through Biblical history. Professor Craig argued that if we follow the Biblical pattern, we would expect that God still speaks in prophecy and that there is no Biblical indication of ceasing. He noted that I Corinthians does speak about ceasing of tongues, knowledge and prophecy but when we see Him face to face. He further argued that those who teach that there is no Post-Biblical Revelation from God, they are teaching post-biblical teaching and thus epistemologically it’s self-defeating, and they are guilty of the same thing they accuse others of doing. Even though the scripture says prophecy will cease, they are saying it will cease when we see Him face to face. Because we don’t need what’s in part for we have the fullness when we see Him. We have the Scripture as a common ground which is the measuring stick by which we evaluate and discern every spiritual gift. In his lecture, Craig also addressed the purpose of the gifts which is for the edification and service of the whole body. He cautioned if we boast in our gifts and demean other’s gifts, we harm Christ’s body. He said there is only one head, and that we cannot replace the head. We can only function as we are connected with the head. In the second day of his lecture, Professor Craig challenged the audience in a beautiful analogy, saying, “because there is counterfeit money, we do not stop using money at all.” He further discussed that the purpose of spiritual gifts is to be centered on the Lordship of Christ. The gifts are not given to display our own potentials and special gifts but rather God’s sovernity as he gives them according to His will. One of the major highlights discussed in this lecture is the importance and infallibility of love. Any gift without love is not beneficial to the whole body of Christ. On the third day lecture entitled, “Prophecy and Its Limit”, Professor Craig continued to speak more on the gift of prophecy. He started out by saying, “prophecy is a highly valued gift by Paul (1 Cor 14:1) But it’s always prudent to understand that we know/teach in part, and prophesy in part (1 Cor 13:9).” He further argued from Joel 2:28-29 that prophecy in the Bible has crossed ethnic barriers, (male and female servants also were normally gentiles), sons and daughters, male and female servants (across gender barriers), young men and old men (across age barriers), your male and female servants (across class barriers). In the lecture, Professor Craig cautioned that if it was already the last days in Acts 2, it is certainly the last days now. In his lecture, Professor Craig shade light on the limits of prophecy by saying, the prophets are false if they call us to other gods (Deut 13:1-5). If a spirit denies that Jesus is the Messiah (1 John 2:22); if a spirit denies that Jesus came in the flesh (1 John 4:2-3) ;if a spirit says, “Jesus is accursed” (1 Cor 12:3), Or if they promote immorality (Rev 2:14) ; a false prophet like Balaam if encourages eating idol food and sexual immorality ( Jude 4) ;they turn teaching of grace into an excuse to sin freely (2 Peter 2:1-3) ; exploit God’s people for their own profit- they are false prophets. Prior to question and answer session, he advised that Gifts should always point us to the Giver; and that prophecies should always reveal the heart of God. 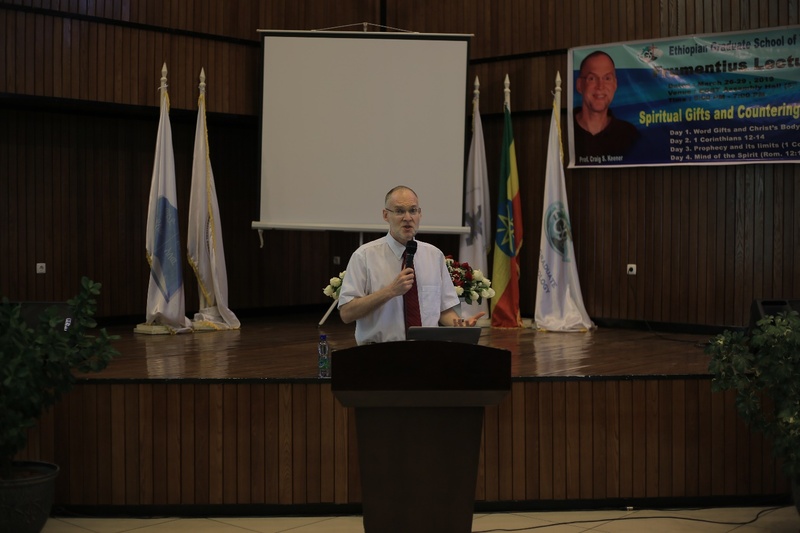 In his last lecture, Professor Craig spoke on “The Mind of the Spirit” and addressed more academic issues. He counselled that there is no need for tension between academic and spiritual gifts if we walk in love. He noted that the scriptures tell us that knowledge makes arrogant whereas love builds up and yet real knowledge can bring humility. In the lecture, the nature of the Pagan’s world corrupted mind, the characteristics of a renewed spiritual mind, the true wisdom of the cross, the Spirit’s insight, transformation through vision and so much details of the contextual backgrounds of the original meanings of scriptures. At the end, Craig urged the participants to live like people of the coming age and to live our lives for what will have an eternal reward. The Frumentius Lectures 2019 came into conclusion by table fellowship with Professor Craig, and presentation of gifts by Rev. Dr. Misgana Mathewos. The Ethiopian Graduate School of Theology is widely known for organizing an annual public lecture named after Saint Frumentius who was the first Bishop of Axum, and is ascribed for bringing Christianity to the empire. Frumentius is also called Aba Salama Kesate Birhan. (Illuminator of Light). 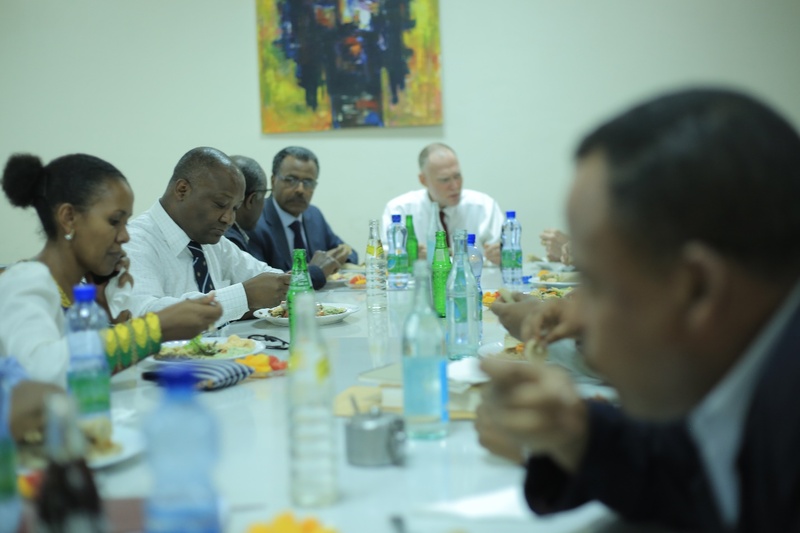 For the last 17 years, EGST has made it a culture to invite renowned world class Theologians with high profiles to present relevant topics of their research and Theological pieces every year.